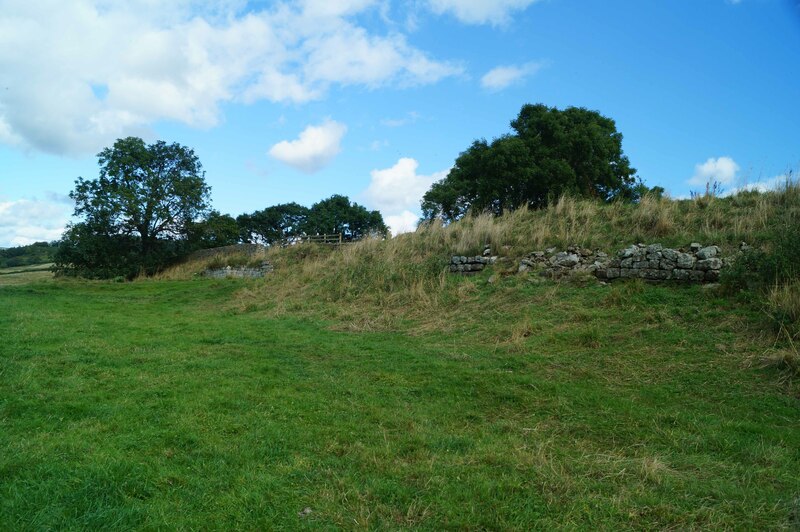 High Rochester Roman Fort was initially built to support operations in Scotland. Located on Dere Street, it continued to be occupied when the Roman frontier moved onto Hadrian's Wall which was twenty miles to the south. This left the fort as an isolated outpost and accordingly it was rebuilt with extensive defences and garrisoned by a one thousand strong regiment. High Rochester Roman Fort may initially have been raised in the late first century AD in support of military operations in southern Scotland. Located on what would later become known as Dere Street, the main overland route north on the eastern side of Britain, it was a strategically important point as evidenced from a number of Roman marching camps to the north-west of the fort. As the Romans consolidated their hold on southern Scotland, a semi-permanent presence at High Rochester may have been deemed beneficial. However, despite a Roman victory at the Battle of Mons Graupius (AD 83) and construction of a Legionary base at Inchtuthil on the River Tay, military redeployments meant the Romans withdrew from Scotland and consolidated their advance along the Tyne/Solway isthmus. If it had been founded at this time, High Rochester was abandoned as the army withdrew south. The fort was rebuilt (or built) circa-AD 140 as the Roman army returned to Scotland. Although Hadrian's Wall had been built around AD 122, the accession of Emperor Antoninus Pius meant the Romans moved north to the Clyde/Forth isthmus where they built the Antonine Wall. Dere Street ran north to that frontier (and beyond) and High Rochester served as an outpost along that vital communication artery. 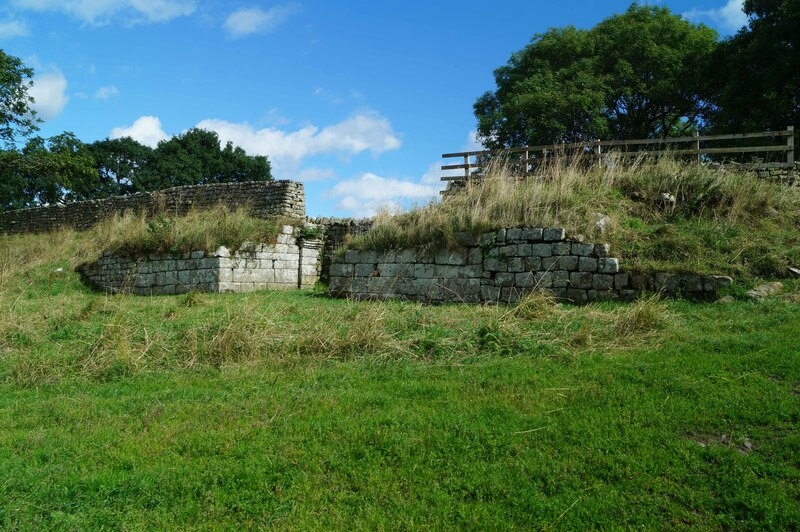 Known to the Romans as Bremenium (which translates as "fort on the roaring stream"), it guarded the key logistical route from the major town at Corbridge to the new frontier. 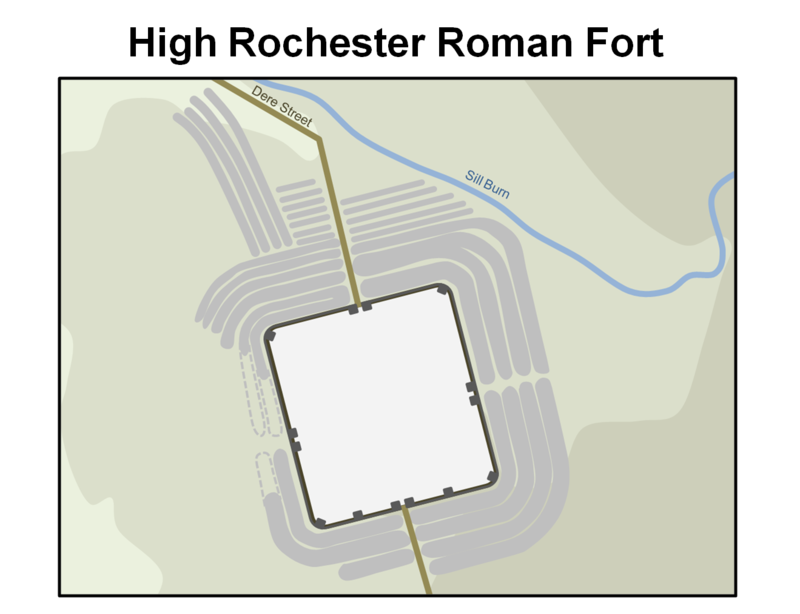 Like most Roman forts of the period, High Rochester was configured in a playing card layout shape with a headquarters in the centre and barracks in each quadrant. The entire fort occupied an area of around 4.5 acres and was probably initially raised with earth and timber ramparts. Ditches would have surrounded the site. The first garrison of the fort is believed to have been the First Cohort of Lingones (Cohors I Lingonum Equitata), a force recruited from what is now central France. The unit was a mixed cavalry and infantry regiment, a combination which undoubtedly suited the rugged terrain well. 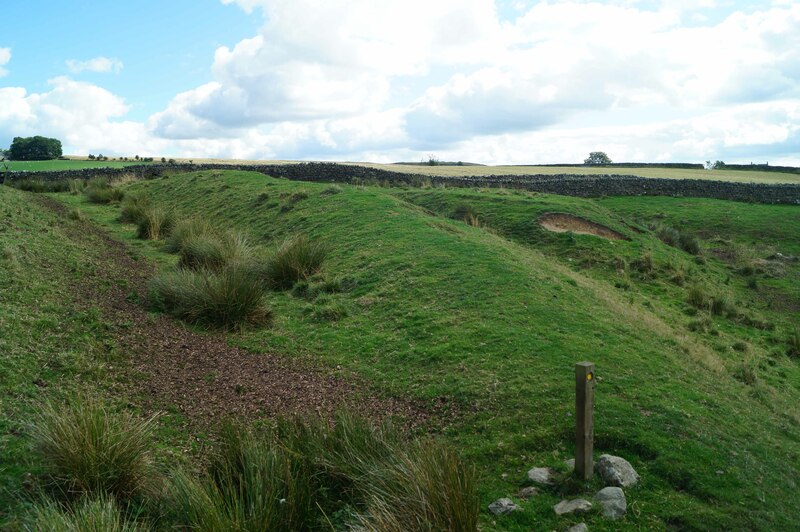 The Antonine Wall was abandoned around AD 160 in favour of a return to Hadrian's Wall. 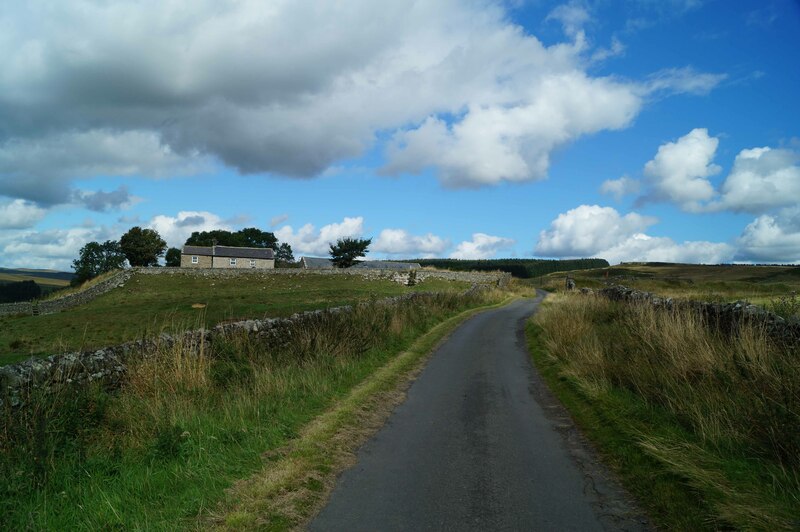 However, the Romans clearly retained economic and/or military interests north of the Wall and Dere Street continued to be regarded as an important route as evidenced by the fact it was one of only two roads which passed through Hadrian's Wall via its own dedicated gateway, the Port Gate. Accordingly High Rochester remained garrisoned as did Risingham Fort which was located around ten miles to the south. Both forts would have served as outposts for scouts, intelligence gathering and probably also supported Roman economic activity north of the frontier. The First Cohort of Lingones may well have still been the garrison in AD 197 when the High Rochester fort was attacked and possibly completely destroyed during a northern war. The next recorded event at the fort is rebuilding work undertaken by the First Cohort of Vardulli (Cohors I Vardullorum), another combined cavalry/infantry regiment, around AD 216. This unit seems to have been active in the north and was originally stationed at Castlecary on the Antonine Wall before later being moved south to Hadrian's Wall where they recorded as having conducted some rebuilding work at Milecastle 19 (situated between Rudchester and Halton Chesters). They made significant modifications to High Rochester, presumably due to its exposed location north of the frontier, including building thick stone clad ramparts and adding artillery positions. The latter included stone throwing ballistae and is a rare example of auxiliary troops being so equipped as normally the Roman army kept such technology strictly limited to Legionary troops. The fort was also surrounded by a significant number of defensive ditches - seemingly as many as thirteen on the north. Only a handful of other sites had such extensive defences, perhaps most notably Whitley (Epiacum) Roman Fort near Alton, and is a clear indication of the perceived threat. High Rochester was abandoned early in the fourth century as the Picts, a coalition comprised of the Caledones and Maetae tribes, became increasingly hostile to Roman forces. This may have been part of a wider plan to pull back all forces from north of the Wall that was possibly implemented as early as AD 312 (under Constantine the Great) as the price of peace with the northern tribes. However, some sources suggest the fort was still garrisoned in AD 342 when it was allegedly burnt by the Picts. Regardless the fort had certainly been abandoned by the time of the compilation of the Notitia Dignitatum, a fourth century compendium of military dispositions, as it was not mentioned. It is likely that by this time a military garrison north of the Wall was no longer a viable prospect for the Romans. Over the subsequent centuries the small hamlet of High Rochester developed within the fort's former enclosure. Historic England (1988). High Rochester Roman Fort, List Entry 1044837. Historic England, London. The site of the former Roman Fort has evolved into the hamlet of High Rochester which is now occupied by a number of houses (including Gallow Knowe bastle). There is public access around the circuit of the fortification and the remains include sections of masonry. The fort's West Gate is particularly well preserved. Trace earthworks of ditches and the original line of Dere Street are also visible. 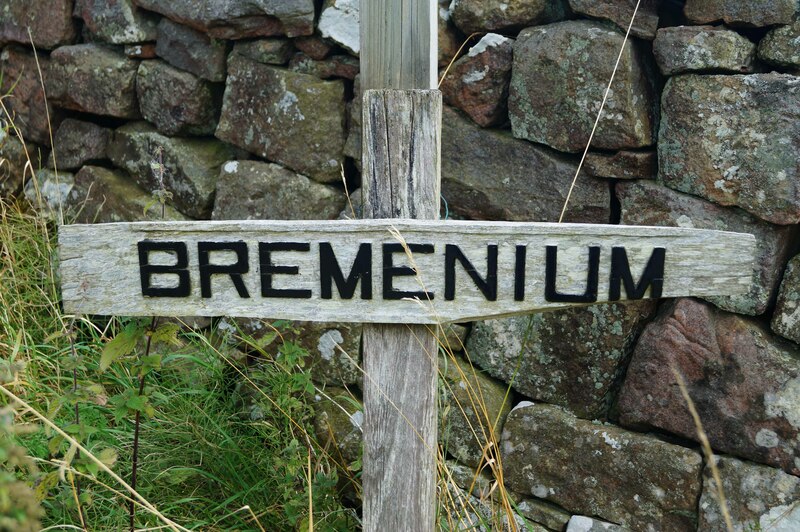 Bremenium. The hamlet is marked with the original name of the Roman Fort. When you see the sign you are within the fort's perimeter although this may not be immediately apparent! West Gate. The remains of the fort's West Gate are particularly impressive. Remains. The fort's rampart survives as a substantial earth bank with fragments of masonry. The view towards Rochester. An earlier Roman camp was located on the distant plateau on the right of the photograph. Ditches. The fort was surrounded by a significant number of defensive ditches. It s likely there were originally more along the western side. The purpose of the north/south ditches seemingly protecting Dere Street are uncertain but were perhaps intended to protect the fort's access to the Sill Burn. High Rochester Roman Fort is now occupied by the hamlet of High Rochester. The public road leads into the centre of the fort whilst a right of way encircles the fort’s perimeter. There is no dedicated car park although on-road parking is possible. Alternatively there is a small cafe car park in Rochester directly off the A68 and the fort site can then be accessed either via an unpaved right of way or by following the road up towards the hamlet.